Time to hop into RACloud. There are a lot of remixes of Morten’s “Beautiful Heartbeat” ft. Frida Sundemo and while we appreciate all the personal repackaging that many did, the throne for the best version goes to RAC (Religiously Advocating Cats), who Soundclouded his masterpiece few days ago. Don’t. Argue. With. Us. Instead of opting to build tension with a quiet start, RAC’s opening taps swagger into our eardrums where they set up an enigmatic and hypnotic arena. The swirling tech frequencies that the melody channels are in harmony with Sundemo’s vocals, that doesn’t get beat-cornered like as it happens in other reworks. Rather than adding a midway blast, RAC keeps the thumps balanced, fluctuating the tension jumps here and there. 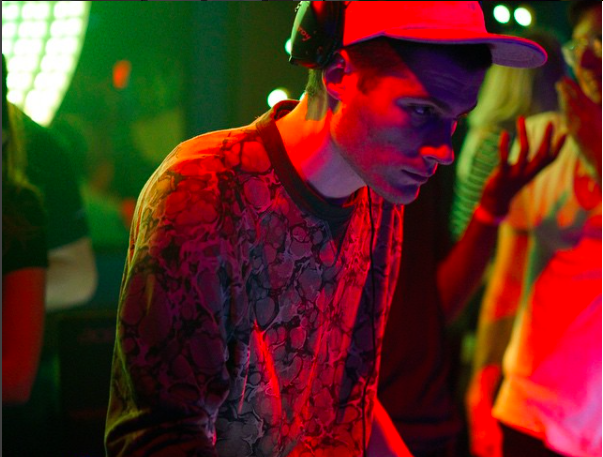 RAC, the Portuguese American artist, has been releasing singles on a monthly basis. When he’s not composing gobsmacking pop, he is revamping other artists’ tracks. He has no tour dates coming up yet, but recently got a Grammy nomination and remains an active Catstagrammer. 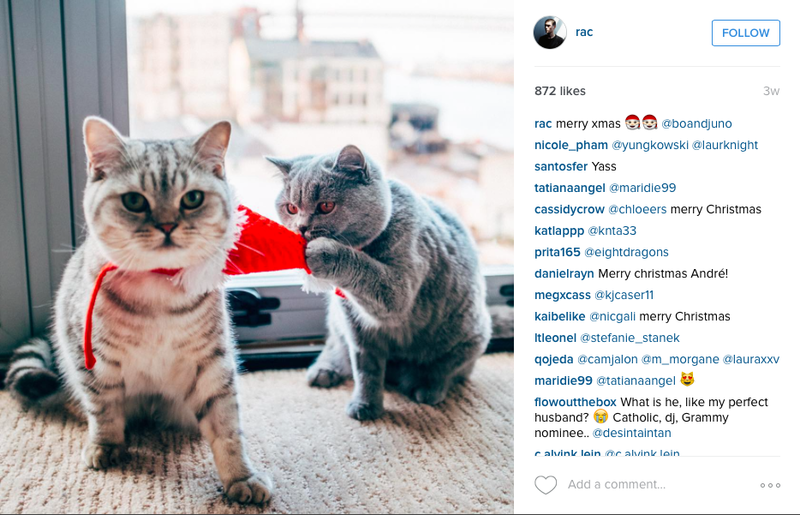 Photo: RAC Instagram. You’ll find a cat pic for every 4-5 pics on his Instagram.